Genoa’s Catholic church began in 1912 with the support of 52 families. A $1,000 donation from a Chicago benefactor helped to finance the building, which was named in memory of the donor’s mother. Rapid membership growth helped the church to pay off construction within 10 years, about the same time the congregation established a mission church in nearby Kirkland. Economic hardship and population loss forced the mission church to close during the Great Depression. 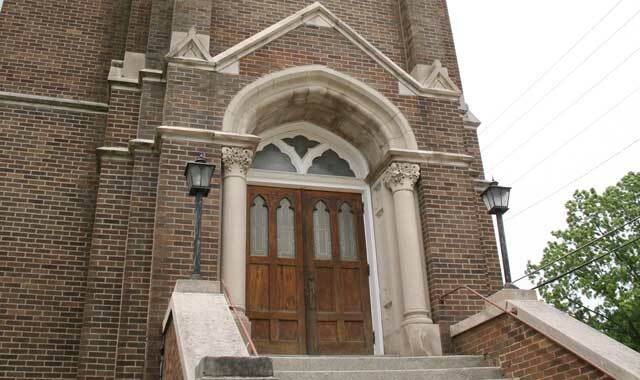 Genoa’s parish also struggled during the Depression, dwindling to just 60 families, but its membership rebounded to about 125 active families by the 1950s. A decade later, the congregation had outgrown its original building, so the Rev. James Molloy spent several years planning a new development, starting with the purchase of 40 acres next to the original church cemetery on Sycamore Street. Molloy’s plan called for the new church to sit on 15 acres that would be surrounded by 37 residential lots. Sale of the lots would finance construction. Catholic symbolism is woven into many parts of the circular-shaped sanctuary, which has an altar at its center. Twelve stone pillars, symbolizing the apostles, support the sanctuary. Thin wooden beams cross the ceiling and converge, and ascend heavenward at the center. Mass occurs Monday through Friday at 8:30 a.m., Saturday at 5 p.m. and 7 p.m., and Sunday at 8 a.m. and 10:30 a.m. During the summer, the second Sunday mass occurs at 9:30 a.m. The Rev. Donald M. Ahles leads traditional services, while the Rev. E. Yovanni Dorado leads Hispanic mass on Saturday at 7 p.m.
As far back as 1939, future members of this church held worship services in rented facilities in various locations in Monroe. In 1944, Eldor Toepel was called from St. Markus Church in Ixonia, Wis. Because he was to serve St. Peter’s Lutheran Church in Brodhead, Wis., and Belleview Lutheran Church in Stephenson County, Ill., as well as the small group in Monroe, the mission board decided that he should live in Monroe because the city was centrally located among the three parishes. By the end of the year, membership had increased to 24. In February 1945, seven men and their pastor decided to organize a congregation of the Evangelical Lutheran Faith in Monroe, Wis. They drafted a Constitution which was formally adopted and signed that October. 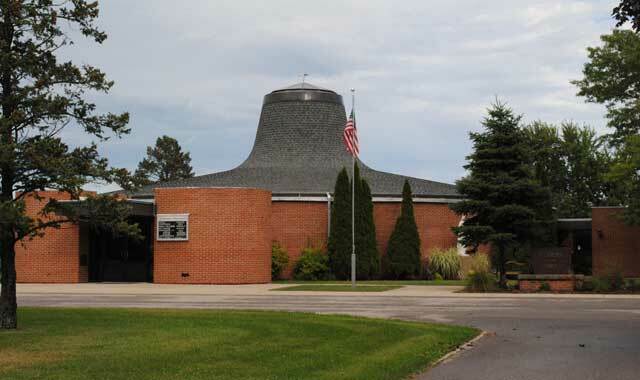 The name was to be Mount Olive Evangelical Lutheran Church of The Evangelical Lutheran Joint Synod of Wisconsin and Other States. The year ended with an average attendance of 22. After meeting in rented quarters for many years, Mt. Olive members secured their own land in 1949, moved a former schoolhouse to the property and converted it into an attractive church building. In 1981, the present building was purchased. Six pastors have served the congregation, including current Pastor Donald Swartz. Worship is at 10:30 a.m. Sundays with Adult Bible Class and Sunday School at 9 a.m. There’s also a 7 p.m. Monday worship service. This entry was posted on Friday, December 18th, 2015 at 11:57 am	and is filed under Mind & Spirit. You can follow any responses to this entry through the RSS 2.0 feed. Both comments and pings are currently closed.